Ingrow West station was opened in the late 1980's. 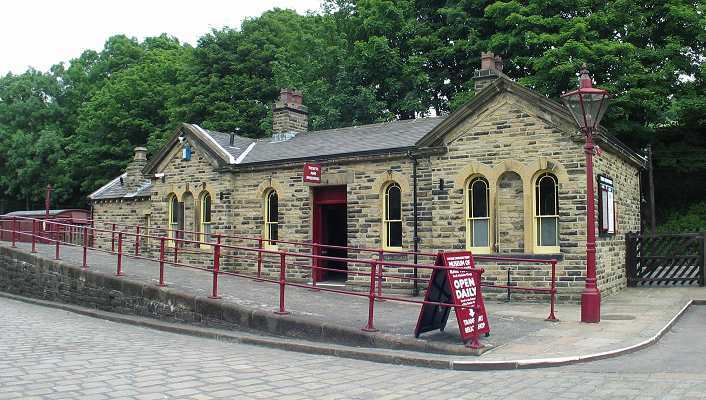 The station building once stood at Foulridge where it was dismantled and carefully rebuilt matching the style of the other stations on the line. 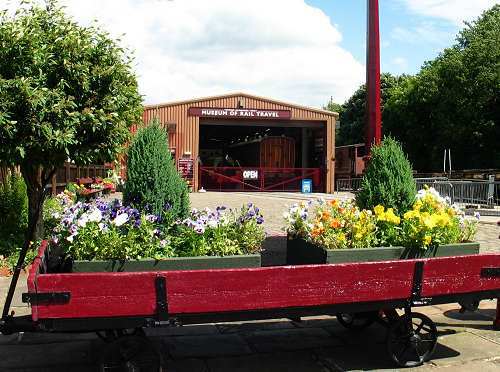 Ingrow is the home of the the Vintage Carriage Trust Museum which was opened in 1990. Manpower Services Commission and the generosity of T.G. Reeday. in memory of whose father. 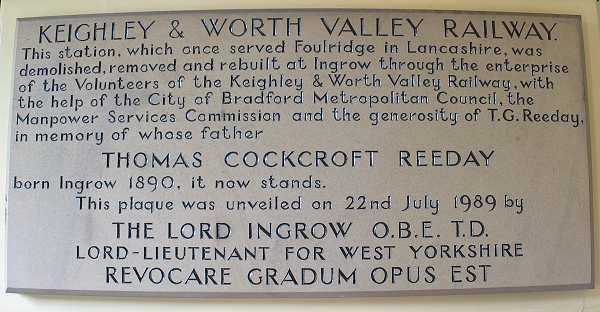 born Ingrow 1890, it now stands. THE LORD INGROW O.B.E. T.D.